After ruling that he could not accept the testimony of an expert witness, a federal court judge ruled in favor of Nestle Purina PetCare in a class action lawsuit that claimed the company’s Beneful brand dog food made thousands of dogs ill.
On February 5, 2016, Frank Lucido filed a lawsuit in California federal district court, alleging that one of his dogs died and two other became severely ill after eating Beneful exclusively. Lucido sought class-action status and $5 million in damages. The suit cited anecdotal evidence from over 3,000 pet owners who had similar complaints about Beneful. Following a NBC News report on the lawsuit, many other dog owners came forward with concerns that their dogs may also have been harmed by Beneful. Julie Hyde, 39, of Sandwich, Illinois, stated, “I lost my dog who was 6-years-old, healthy as a horse just this past December and I know in my heart the food was the cause.” Hyde reported that her otherwise healthy 6-year-old pit bull suffered bloody stool, vomiting, and dramatic weight loss several days after switching to Beneful Healthy Weight dog food. The plaintiffs consulted with a veterinarian and expert in veterinary toxicology. 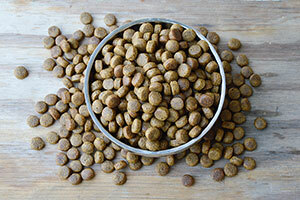 The plaintiffs’ expert tested Beneful kibble from 28 dogs who allegedly fell ill after eating the dog food. This sample represented only about 2% of the cases supposedly related to the Purina food. The plaintiffs’ expert found measurable levels of mycotoxins, heavy metals, and propylene glycol in the food, but all were within limits of what federal regulators consider safe. The plaintiffs’ expert argued that FDA standards for mycotoxin levels don’t take into account the effects of regular, prolonged exposure to the chemicals — such as you might find in a dog eating the same food twice a day for years on end.